The Pylon Appreciation Society ran its first competition in 2006. It was a photography competition with the theme "Power and Energy". The winner was Peter Anchor, aged 8. Peter sent us this photo, of which he says "These pylons are my favourites as they are very big and show their power and might. 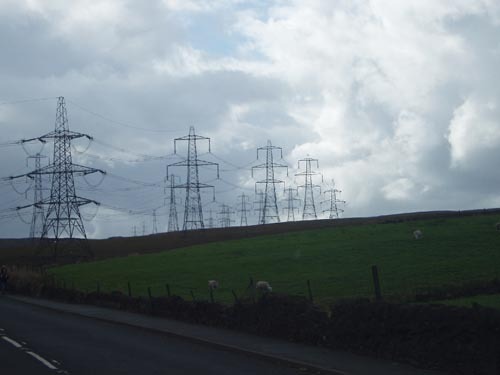 The pylons are at Blackstone Edge in Littlebrough, Greater Manchester." Peter won a Hornby pylon model kit. The next competition will be an art challenge, coming in 2009.